The Group was established in January 1992 and is affiliated to the British Heart Foundation. Our aim is to meet the needs of those with a cardiac condition who are living in the community of Harrogate and District. The purpose of the group is to offer support to those who may have recently suffered a heart attack, undergone cardiac surgery, stent insertion or have any other heart-related problem, such as angina. We are keen to ensure that support is also extended to the patient’s family as anxiety about the future is not only the concern of the patient. Mobility, exercise and fitness sessions are held each week – supervised by qualified, cardiac-trained fitness instructors. There are six of these each week and involve supervised warm up and exercise routines, circuit activity and floor exercises all designed to improve your cardiac health. Monthly Meetings – Harrogate District Hospital Classroom 3rd floor Strayside Wing. These meetings provide an opportunity to get the latest information concerning heart disease and its treatment, and from time to time we cover subjects of a more general nature. Cardiac rehabilitation is one of the most effective treatments available to heart patients. It gives heart patients a 26% greater chance of surviving in the first five years following diagnosis. It can reduce hospital admissions, lower blood pressure, cholesterol, anxiety and depression,therefore improving the patient’s quality of life. It can teach patients how to manage their condition, thus reducing dependence upon GP visits and other NHS services. Patients who regularly exercise in our Phase 4 cardiac classes are generally happier in their outlook and make fewer visits to their GP. Wednesday Jan 30th 2019 Heart Research UK Barbara Harpham. C.E.O. We encourage long term lifestyle changes, which promote good health and general wellbeing. 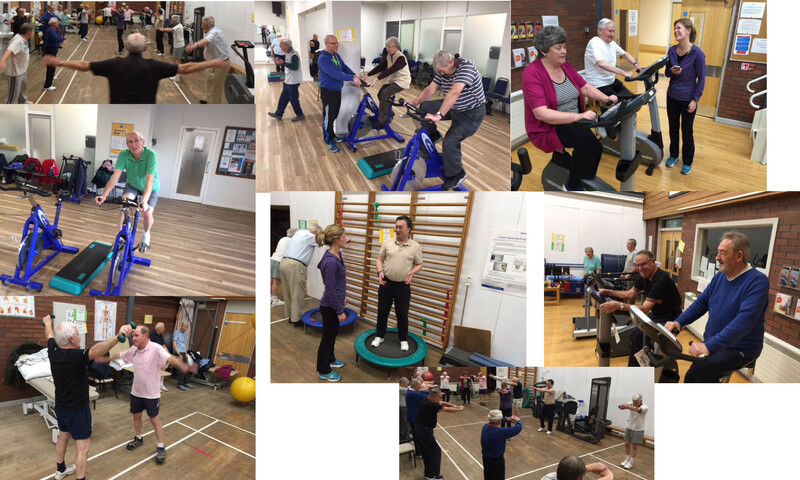 Through our Pulseworks fitness training sessions, we offer long term physical fitness maintenance, following hospital cardiac rehabilitation or referral from your GP. We give you the opportunity to talk and share experiences with others in similar circumstances. We maintain strong links with the Harrogate District Hospital cardiac nurses. In conjunction with the hospital, each year we offer life-saving resuscitation training for patients and carers. We provide opportunities for people to meet socially on regular basis. Membership is open to those who have suffered with heart problems. We offer services to those who have completed Phase III Cardiac Rehab courses at NHS or private hospitals or those that have been referred by their GP. Subscriptions are currently £3.00 pa and members attending fitness sessions pay £4.00 per visit. There is a 100 Club option which costs an additional £12.00 pa. The Group is run voluntarily by individuals who have first hand experience of heart conditions and are therefore uniquely qualified to understand the needs of others with heart-related problems. We are not a fundraising organisation. The group is self-funded and affiliated to the British Heart Foundation, the nation’s foremost heart charity. We have a monthly draw called the 100 Club.